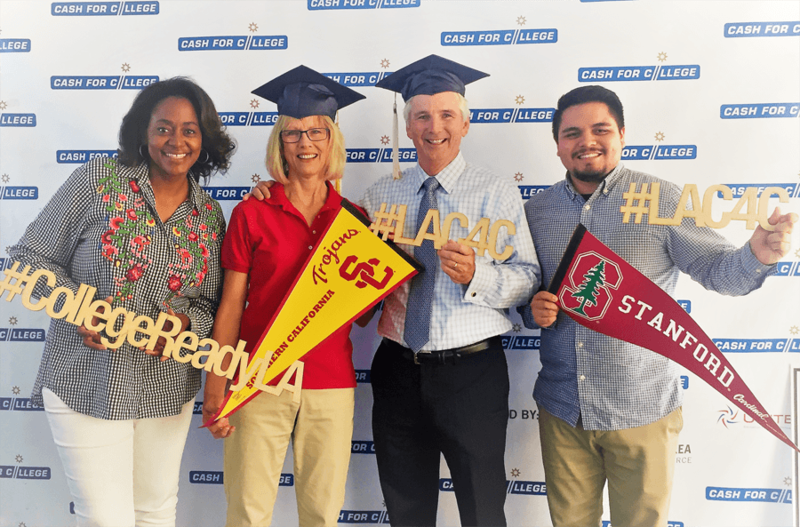 Propel L.A. Continues Forward and Enlists Support of 18 Lead Partners | Propel L.A.
LOS ANGELES, CA – (November 21, 2017) Following through on the work of implementing the strategies of the 2016-2020 Countywide Strategic Plan for Economic Development, Propel L.A. has formed partnerships with 18 champions of the plan, our new Lead Partners. Powered by the Los Angeles County Economic Development Corporation (LAEDC), Propel L.A. will work with various government agencies, education institutions, companies, and nonprofit partners to move the Plan forward toward completion. Propel L.A. is also now fully-staffed with a team dedicated to accomplishing the goals of the Plan, working with LAEDC staff and Lead Partners staff. The Propel L.A. team includes Marianne Haver Hill, Executive Director; Collette Hanna, Communications Manager; Samuel Marquez, Program Manager; Pisacha Wichianchan, Data Analyst. Public input was critical to the Plan’s development, and remains an important component to its implementation. Through a consensus-gaining process, the focus on shared economic prosperity, social equity and harnessing the region’s innovation-intensive industries is supported by all Lead Partners, as well as hundreds of other stakeholders throughout the region. Our work together will address the region’s economic development challenges and highlight the significant work that moves each of the Plan’s objectives and strategies forward. Propel L.A. will draw on the expertise of each Partner, utilizing their network and depth of knowledge in their respective areas, and as advocates of the Plan. “With the support of our Lead Partners and other stakeholders, the Strategic Plan can now ‘scale up’ the work of nonprofit, educational, government, labor, community, and business stakeholders. We see our role as a “connector” and “activator” – connecting the resources of the LAEDC with our Partners, and ultimately with the community to activate and impact the county’s 10 million residents,” said Marianne Haver Hill, Propel L.A. Executive Director. “Advancing industry growth is key to economic growth in LA County. The work of the Los Angeles Cleantech Incubator (LACI) and its portfolio companies helps accelerate innovation, entrepreneurship, and industry cluster development. Our role as a Lead Partner advances workforce development, job creation, and assists in development of the necessary tools for community development and economic prosperity,” said Mike Swords, LACI Vice President of Government Relations. Our economic future depends on nurturing our future labor force and supporting families and youth, who are at the core of our success. To achieve access and affordability for all requires our collective voice, effort and support, including business leaders, labor leaders and all who care about the future of LA County families. Propel L.A. will work with the Lead Partners to direct successful execution of the plan, and ultimately to advance opportunity and prosperity for all LA County residents. One such project done in conjunction with the LA County Office of Education will help inform students about high demand, good paying jobs in LA County. Consistent with Goal 1, Invest in Our People, the project will address strategies to link all levels of education to regional industry demand to upskill the workforce, drawing on the findings of LAEDC’s Institute for Applied Economics “Powering Economic Opportunity” report. The project will be launched at the High School Career and Technical Education Directors Symposium in January 2018.